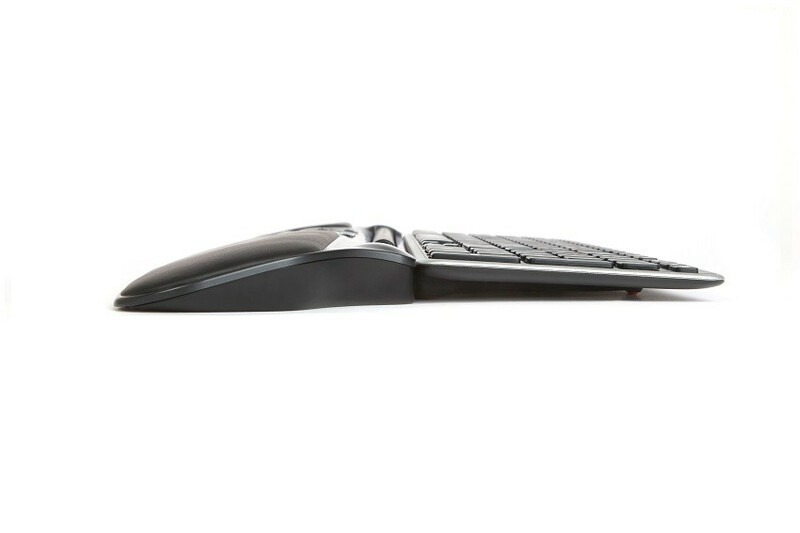 Ultimate Workstation Free3 combines the benefits of our sleekest RollerMouse with the Balance Keyboard. 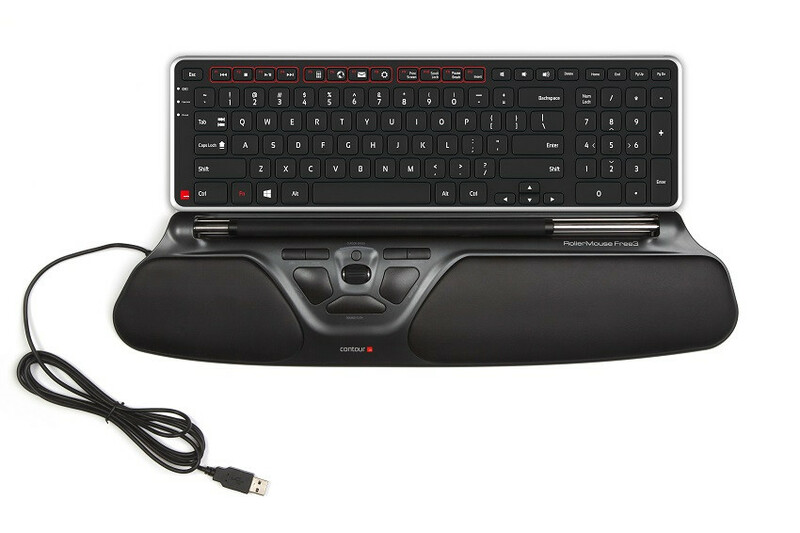 The pitch of Balance Keyboard can be adjusted to three different tilts (negative, neutral, positive) and was designed to be compatible with our RollerMouse products. We have engineered our Balance Keyboard to fit perfectly with RollerMouse Free3. Its slim design aligns with your RollerMouse, allowing you to maintain a more ergonomic position. 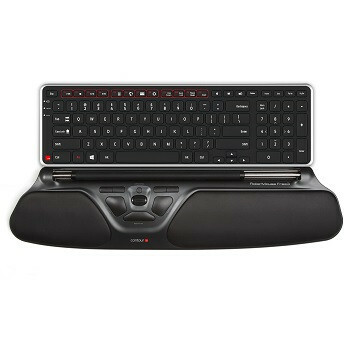 The Balance Keyboard’s low lip minimizes the length of reach needed to get between your keyboard and your RollerMouse. 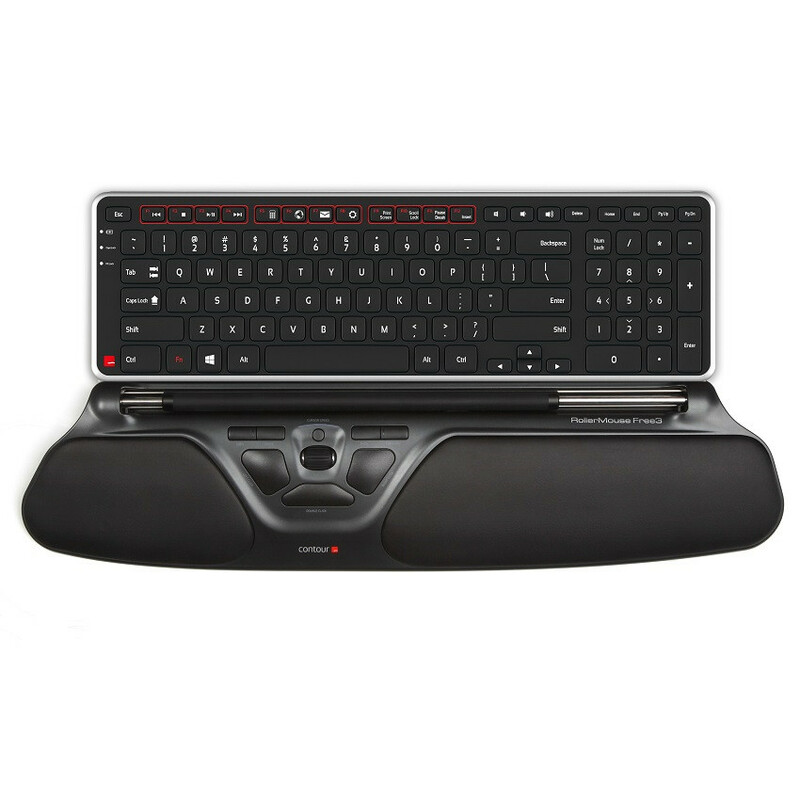 By using the Ultimate Workstation Free3, you can experience an optimized workplace setup in a compact, usable space.